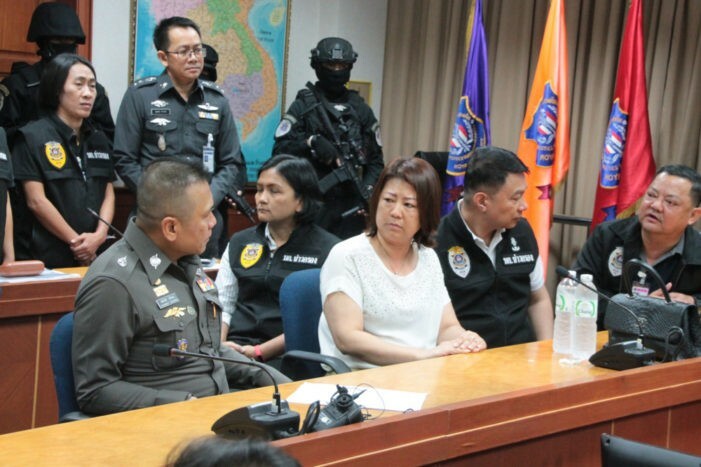 BANGKOK – A Criminal Court in Thailand has handed down the death sentence to a Burmese (Myanmar) woman for laundering dirty money and her connection with the methamphetamine trade. The Thai court passed sentence on Myint Thein Aye, 43, after finding her guilty of several counts including laundering money from meth that she possessed, trafficked and financed. She was arrested in November 2017 when Narcotics Suppression Bureau officers intercepted her van in Bangkok. Investigators had been tracking the gangs she led for years. She claimed she had traveled from Myanmar for medical treatment in Bangkok and ran a foreign-exchange business in Thailand and her country. However, police believed Myint Thein Aye was a key figure in a drug gang, handling the money from the meth trade. Her name had been on the wanted list after NSB officers busted a gang in Mae Sai district in Chiang Rai Province in 2016 by posing as drug buyers. They agreed on a price of 13.5 million baht and were told to transfer the money into a bank account under the woman’s name in Mae Sai. The money was laundered to open jewellery and gold shops, as well as a hotel business in the two countries, according to the NSB. Police also cracked down other members of the gang when they raided a house in Samut Prakan in December 2017.